Agency, 24 January : Venezuela’s opposition leader, Juan Guaidó, has secured significant international support after declaring himself interim president in a dramatic escalation of efforts to force out Nicolás Maduro as two nights of unrest in which 14 people died gripped the country. Donald Trump warned that “all options are on the table” if Maduro who has overseen the country’s slide into authoritarianism and economic ruin responded with force against the opposition. Vice president Mike Pence later made clear the US would use “the full weight of our diplomatic and economic pressure. 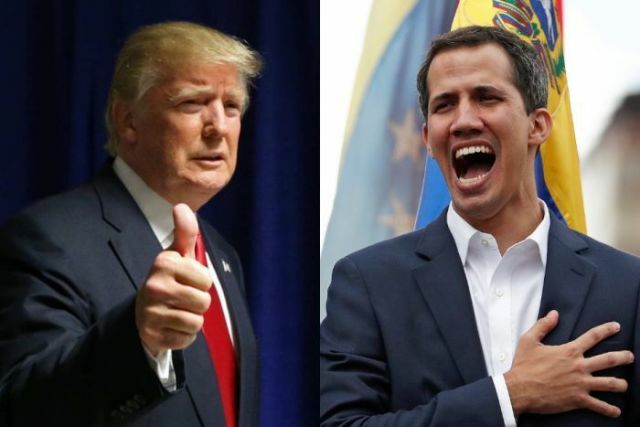 US officials said the US would look at ways to transfer Venezuelan assets and oil revenues to Guaidó and the opposition-run national assembly.